Forget about the highway, and take the TF-5 along the Westcoast of Tenerife when you are crossing the island. 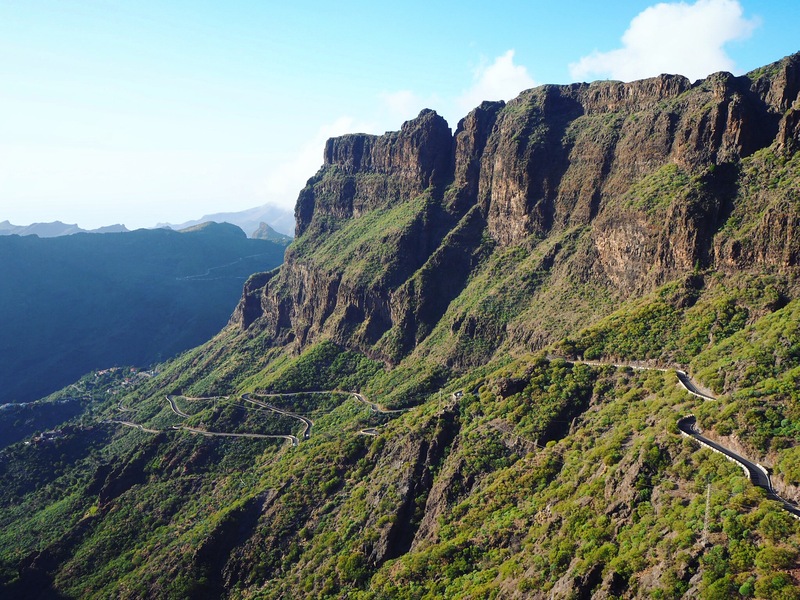 The road passes through small authentic villages and once you reach Santiago del Teide (at the very end/start of the TF-1 highway) you can make a detour on the TF-436 to Masca. 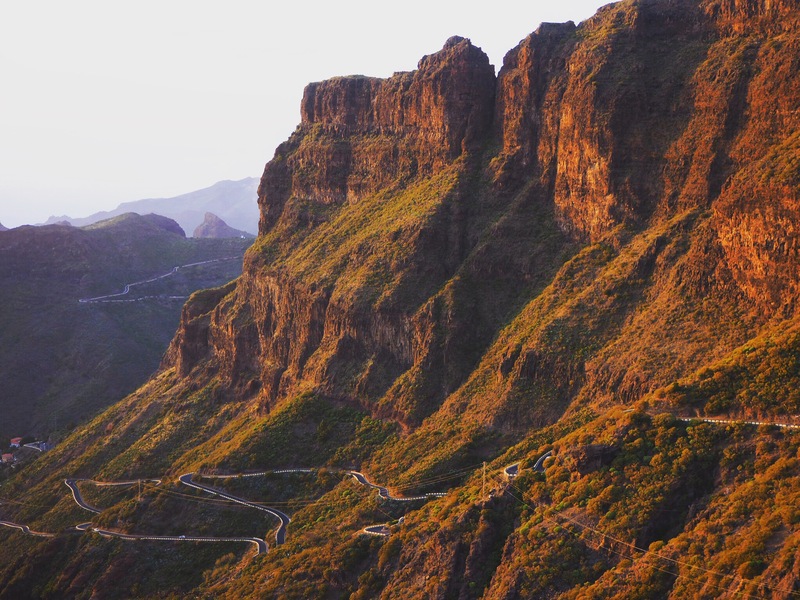 The road has certain viewpoints that offer stunning views over the Masca Valley. Note the difference in colours, below photos are both taken with less than two hours in between, just before and around sunset. Masca Valley in the late afternoon. The village of Masca itself is beautifully located as well. I heard there are buses that go to Masca in the morning, from where you can do a hike all the way down the valley to the beach. Once you reach the beach there are small boats that can take you to Los Gigantes (and if you are not content with the beach at the end of the hike, you can always treat yourself a visit to the Los Gigantos Oasis pool afterwards :)). Now this is a great introduction to what we can expect in Tenerifie. Though it is very likely we might not touch it, we’ve seen glimpses of it!